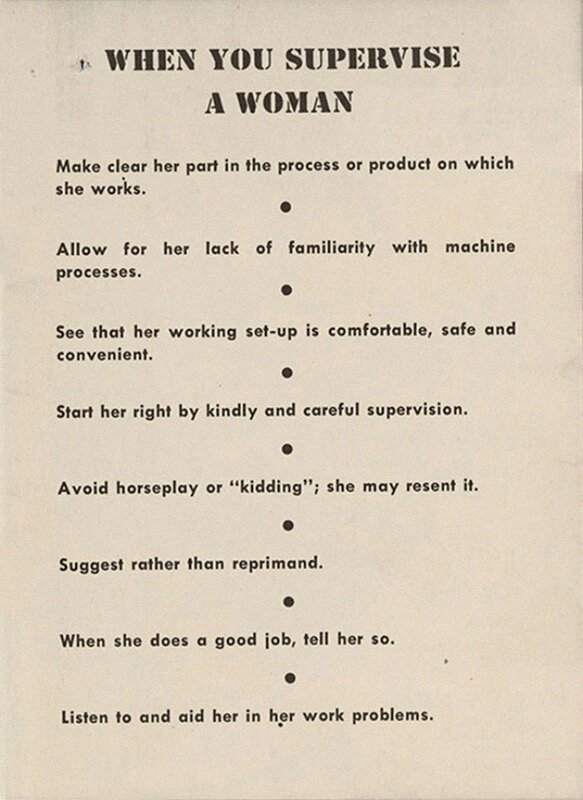 The blog Retronaut uncovered old supervisor manual, created by RCA in the 1940s, which was meant to educate male bosses on how to integrate their new female co-workers into the workforce. It’s safe to say its tone wouldn’t go down very well in today’s PC climate! Back in the early 20th century, the attitude of society was very much that a woman’s place was in the home. However, when WW2 rolled around, and America decided to get involved, this attitude had to be disposed of pretty quickly, so that the remaining adult women could contribute to the war effort while their husbands fought the war. 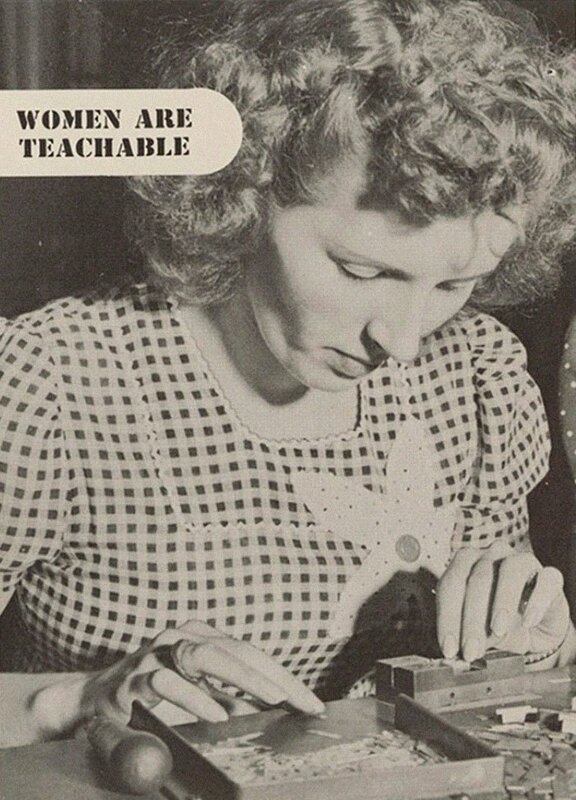 The manual in question is titled ‘When You Supervise A Woman’ gives a window into how these working women in the 1940s were treated – and it may surprise you. While women contributing to the workforce was not entirely new, especially for women from poorer families, it was the first time that we saw white, middle-class females on the factory lines. While some men were fine with their wives working, a lot of them disapproved of the change, and saw it as emasculating. It wasn’t just these sexist attitudes that caused upset, either – the Depression caused such a high level of unemployment that women working was seen in society as stealing jobs from men.